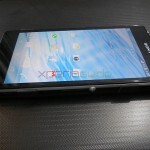 Sony Xperia Z1 needs no introduction as you all know it well Sony shipped it in many regions with different accessories like Xperia Z1 C6902 ( Black ) handset was shipped along with MH-750 white earphones which we also got with our Xperia SL Lt26ii a year back and with some Xperia Z1 C6903 ( Black ) handset a black earphone piece was shipped and in many regions with carrier device they didn’t ship earphones along with the Xperia Z1, God knows what Sony’s marketing team is upto, but that’s kind of weird. 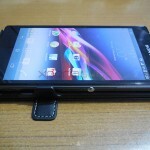 Muvit, a big name when it comes to Sony Xperia accessories. 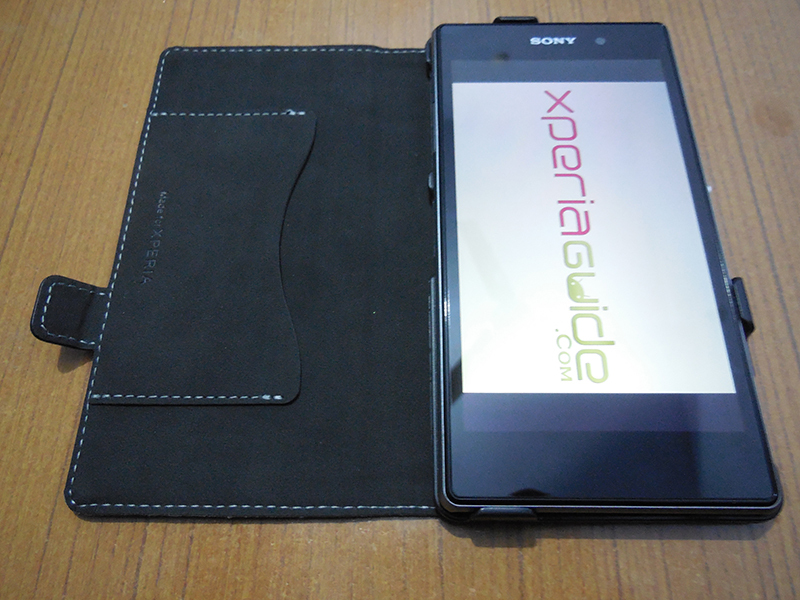 Black Muvit Stick n’ Stand case for Xperia Z1 was shipped by Sony free here in India worth $50 or INR 2990. 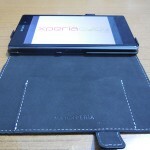 Muvit Essential pack for Xperia Z1 is the next big product from them. 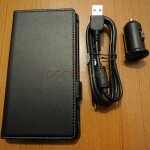 It includes a black leather flip case ( book style ) and a Sony car charger with a micro USB cable. 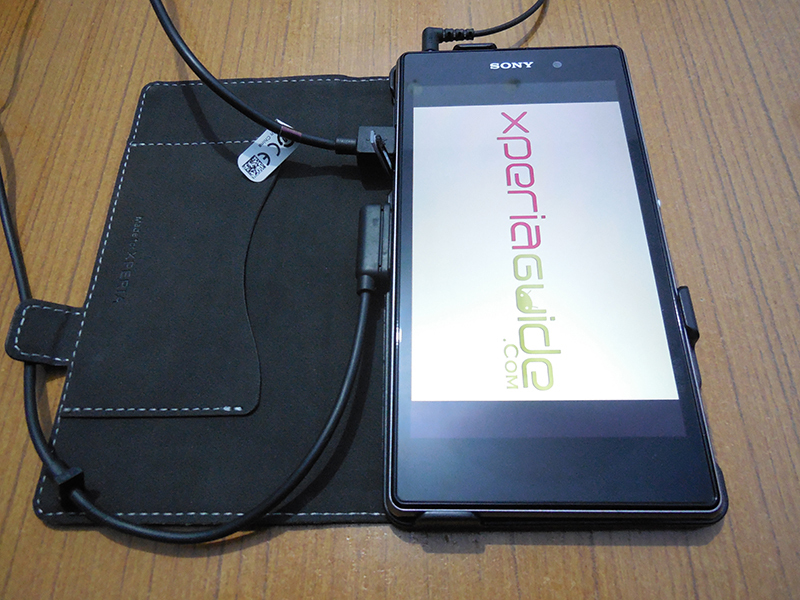 Last time we reviewed Muvit Sony Xperia Z wireless charging pack, which is a good wireless charging solution for Xperia Z owners. 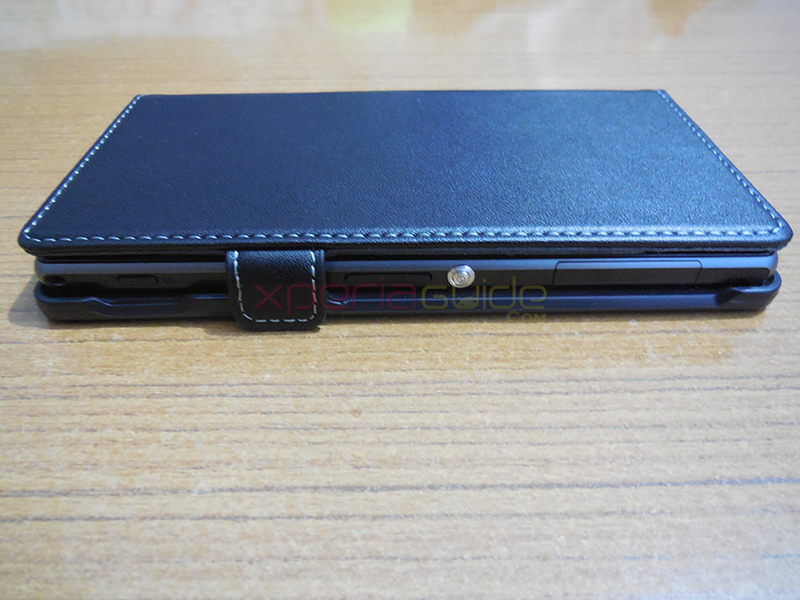 Ascendeo.fr sent us this Muvit Essential pack for Xperia Z1 as a review sample unit. 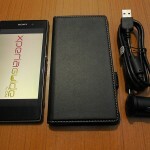 It is priced at € 39.90 inc VAT and is shipped worldwide. 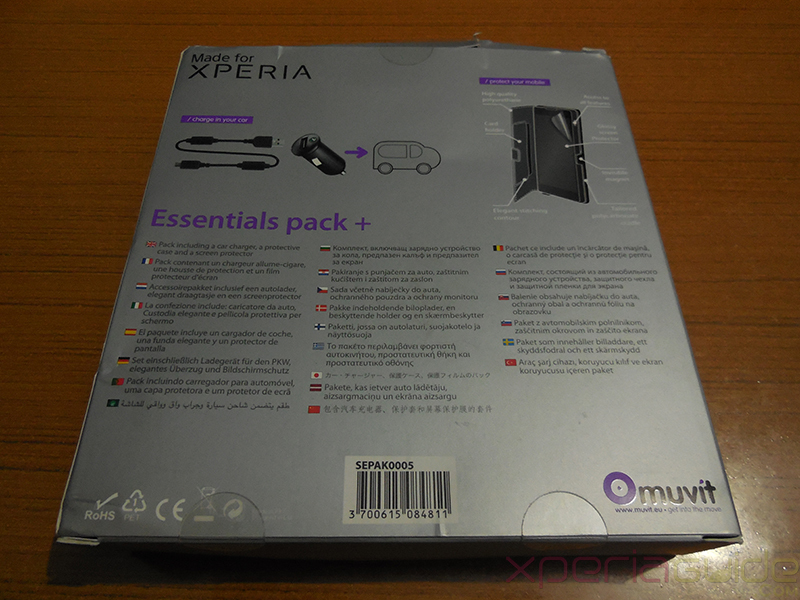 Muvit Essential pack for Xperia Z1 comes in a silver box whose front displays the pic of the contents it has. 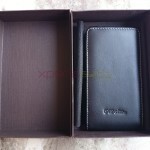 The back cover of box reads the description in various languages and the detailed specification of the leather case included. 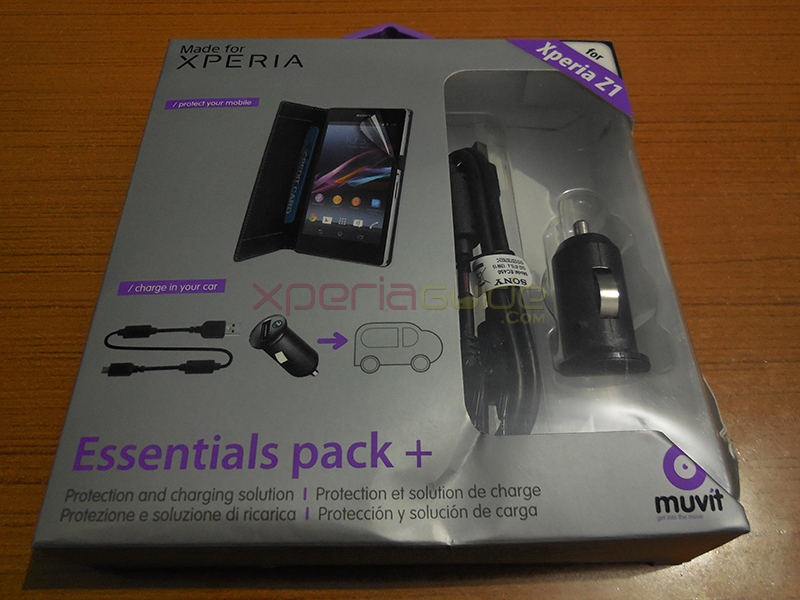 As mentioned above Muvit Essential pack for Xperia Z1 includes 3 accessories. 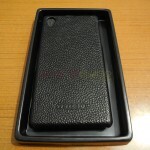 Muvit Black Leather flip case. 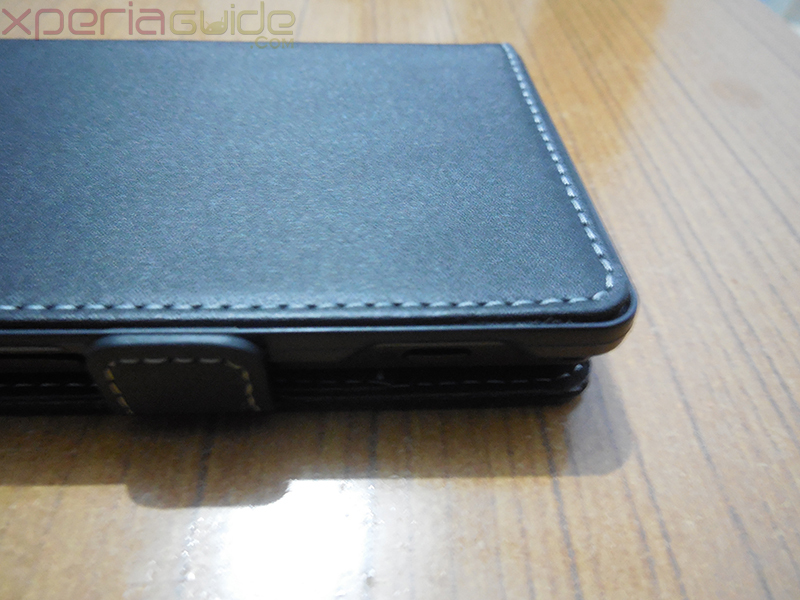 Case is made up of fine leather grain like material gives you a feel of solid plastic material and back side is made up a solid plastic material. 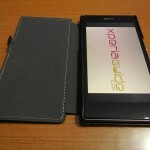 It is stitched with a white thread at its all sides front and back. 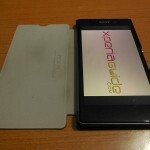 No logo is embossed on front side. 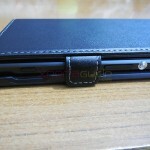 Magnetic flip closer is provided to close the case automatically with a credit card slot inside the front flap. 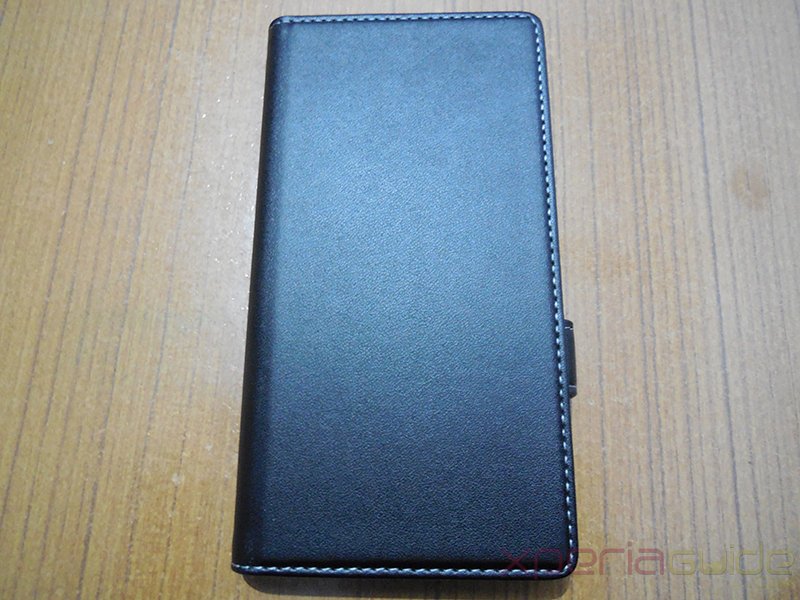 Inner lining of the case is made up of soft velvet to protect screen from any rough scratches. 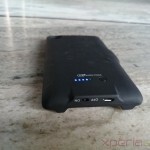 All ports are easily accessible while case is on though no hearing speaker opening is provided on front flap of case which is strictly essential in a flip case. 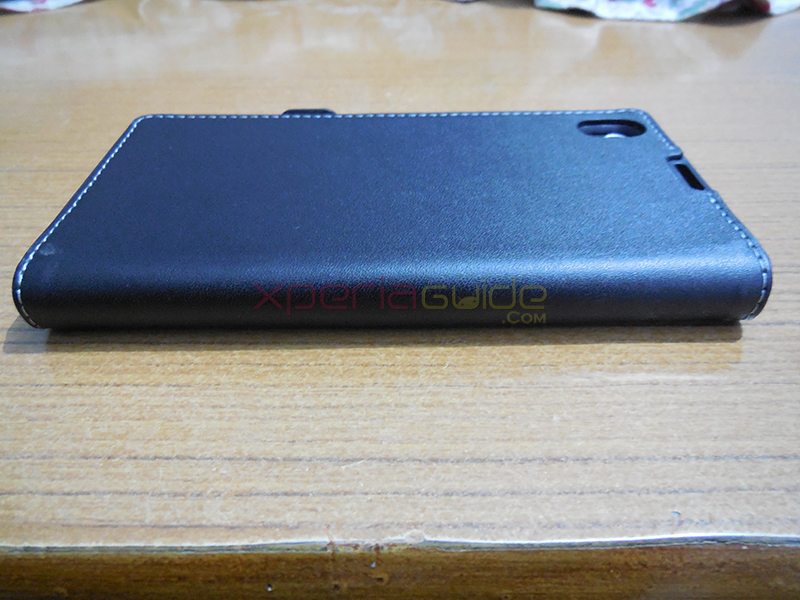 Case’s adjuster which hold the Xperia Z1 inside case are quite smooth so don’t worry about any side of your phone being scrapped by them. Case seems a bit thick while closed. 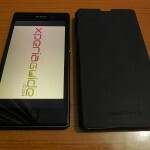 Though feel solid in hand but it’s bulky and thick. Another weird thing an opening for secondary microphone is provided at back of case but for hearing speaker is missing on front flap. 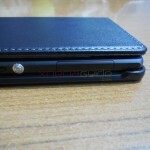 Perfect camera and secondary microphone opening at back flap of case. No obstruction in camera flash. 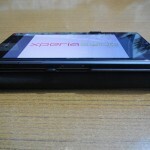 External camera shutter button well accessible. Speaker grills at bottom also have a clear way, no obstruction. 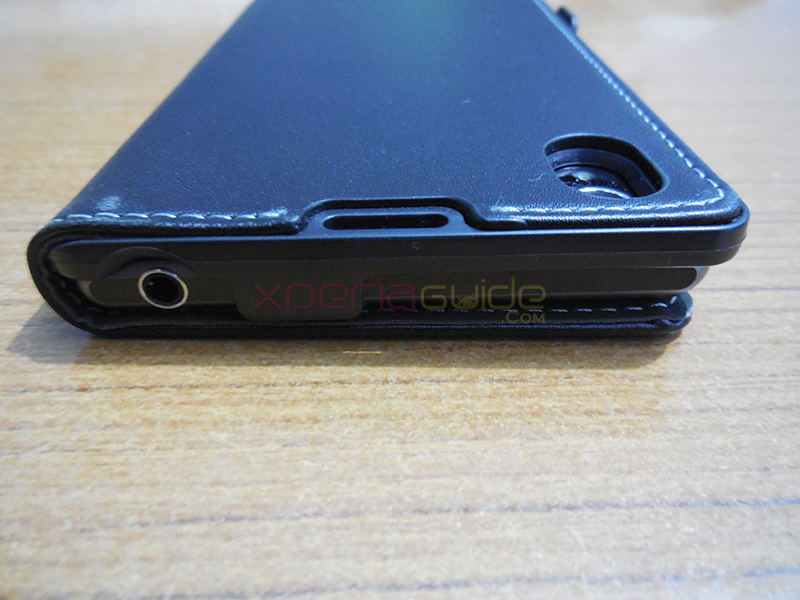 3.5 mm headphone jack opening, check below. 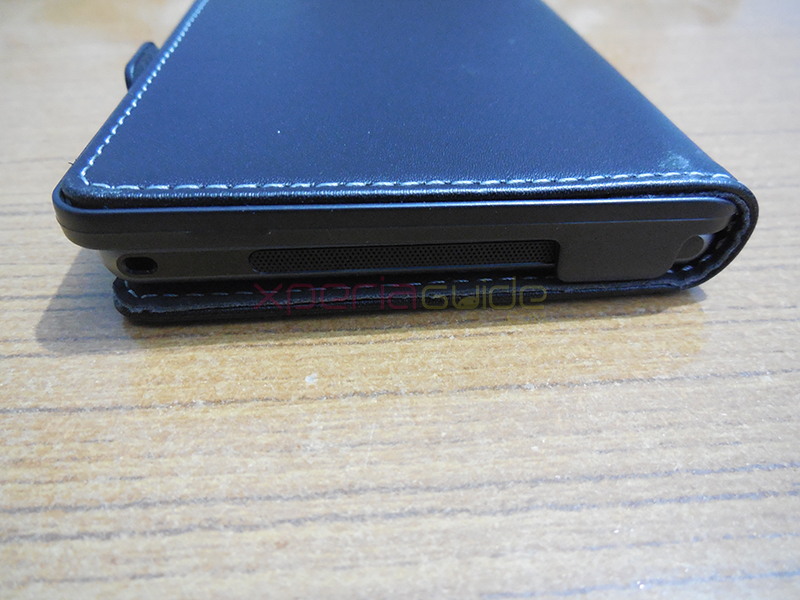 SIM card slot accessibility all clear. 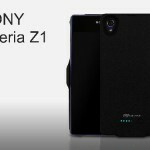 Unfortunately if you are thinking of putting the phone with case on Sony Dock DK31 then is’t not possible it falls easily but while case front flap is open you can use any port of Xperia Z1. Check pic blow. 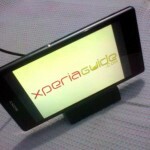 All ports accessible while case is on. Not supported by Dock DK31. 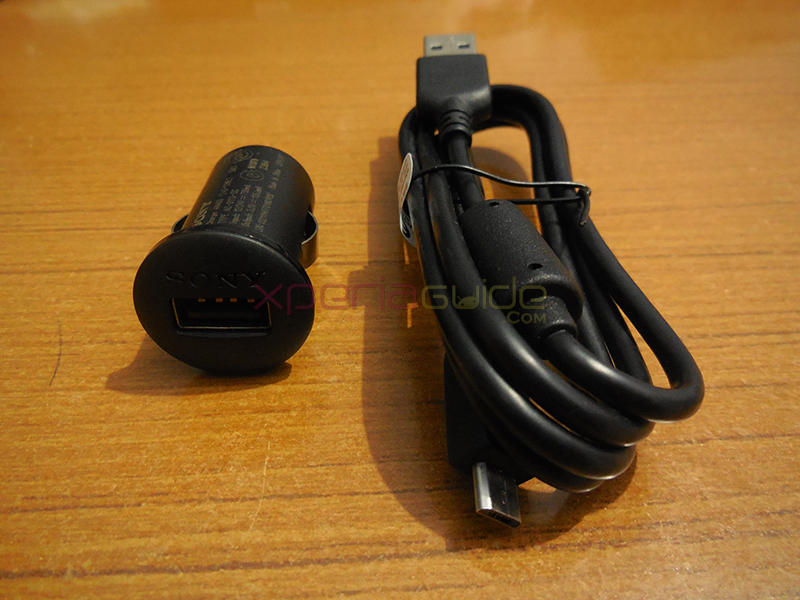 For all officials out there and other users who take out their Xperia Z1 while driving, this Sony Car charger for Xperia Z1 will be very useful for you. 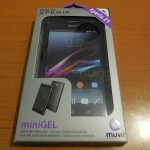 Overall Muvit Essential pack for Xperia Z1 seems ok if you are not willing to purchase all above accessories separately. 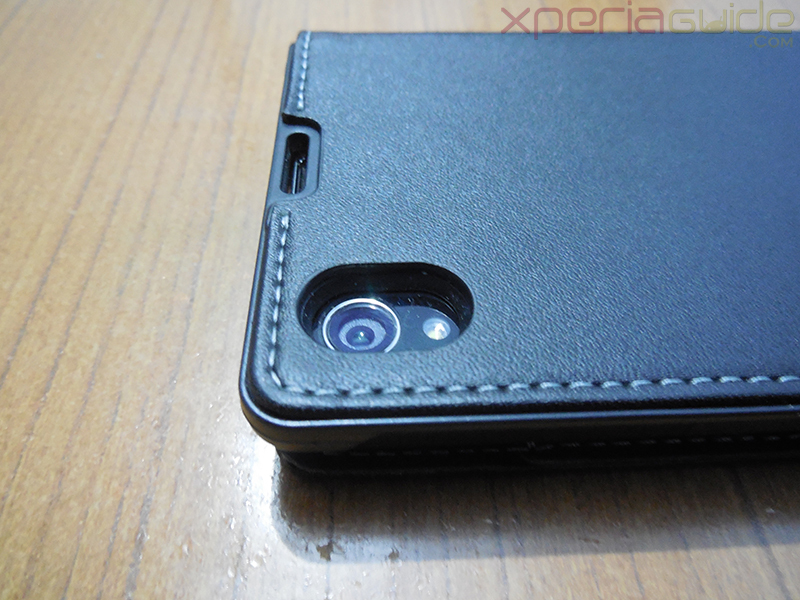 If you are using any other case for Xperia Z1, let us know below in comments.